ENO Spark Top Quilt. The warm and affordable counterpart to the Ember2 Under Quilt, the Spark Top Quilt makes for the perfect cool weather hammocking solution. A velcro controlled convertible footbox makes for a quick entry and exit, while the nylon taffeta lining is soft against the skin. 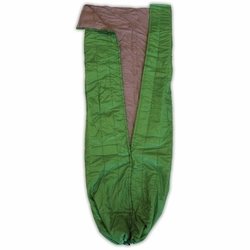 Safe in the knowledge this sub-$100 quilt's DWR finish repels moisture and keeps stains at bay, there are no more excuses when it comes to cool weather hammocking. Spark your fall adventures. Eagles Nest Outfitters. Dimensions	(L x W) 80" x 50"